Join us on Sunday November 18, 2018 at 11:33am for the 20th Annual Novemberfest Race and post race party! This is a fun 5 mile race through beautiful Mines Falls Park, with pre-race and post race activities at our host location, Marthas Exchange, 185 Main Street in Nashua. This event, hosted by the Gate City Striders, benefits the Nashua Childrens Home, and the wonderful work they do. Participants will be in for a treat, as there are always Celebrity Guests, and a fun post race party! Entry fees are $25.00 (plus processing) through race day. 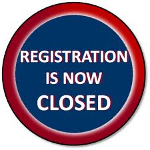 Online registration will close on November 15th. All entrants receive a shirt, hat, or gloves and are eligible for our Childrens Home raffle where you are likely to win a prize of significant value. Raffle prizes include ski lift tickets to Mt. Sunapee Resort, gift certificates from Fleet Feet, Goodales Bike Shop, and Fratello's Italian Grille, golf equipment from Tulley BMW, and much more.